This is a second life for Randal the Royal Coachman. This time it is a laminated business card with the tracking code displayed prominently on the face of the card and a message on the back. In the first life, this travel bug was a piece of paper inside a film canister, red body, green top, attached to an actual TB. 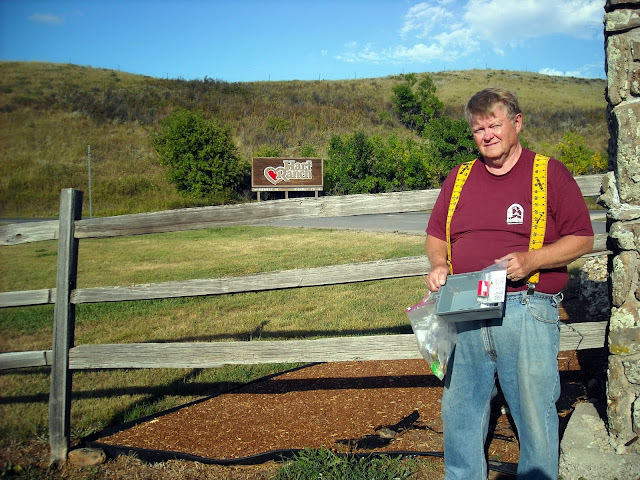 I launched Randal the first time in Black Hills National Park, SD in September 2010. It disappeared sometime in 2012 after having logged 6,034 miles and 58 posts. I pulled back the travel bug number and relaunched Randal in GCXD49, Bearly Hidden?? ?, in Muncy, PA on 02 Jun 2014. I guess there is some slim chance that the original might show up. The Royal Coachman is an artificial fly that has been tied as a wet fly, dry fly and streamer pattern. 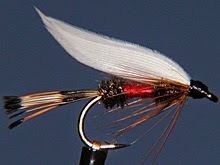 Today, the Royal Coachman and its variations are tied mostly as dry flies and fished floating on the water surface. It is a popular and widely used pattern for freshwater game fish, particularly trout and grayling. Large streamer versions are also used for winter steelhead and Atlantic Salmon. 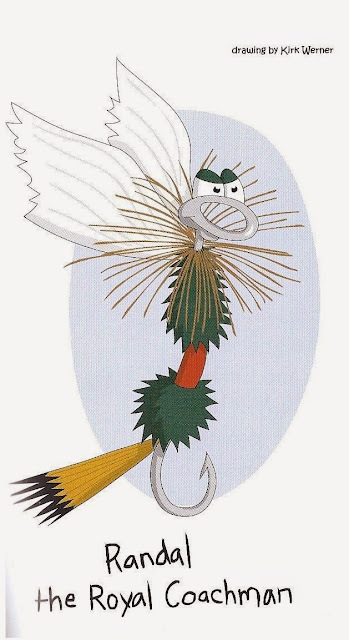 Randal is one of twelve characters created by artist Kirk Werner for three books designed to introduce children to fly fishing.